Sessions are 1/2 an hour and include seven high resolution digital images. Additional images can be purchased for $35 each from mini sessions. 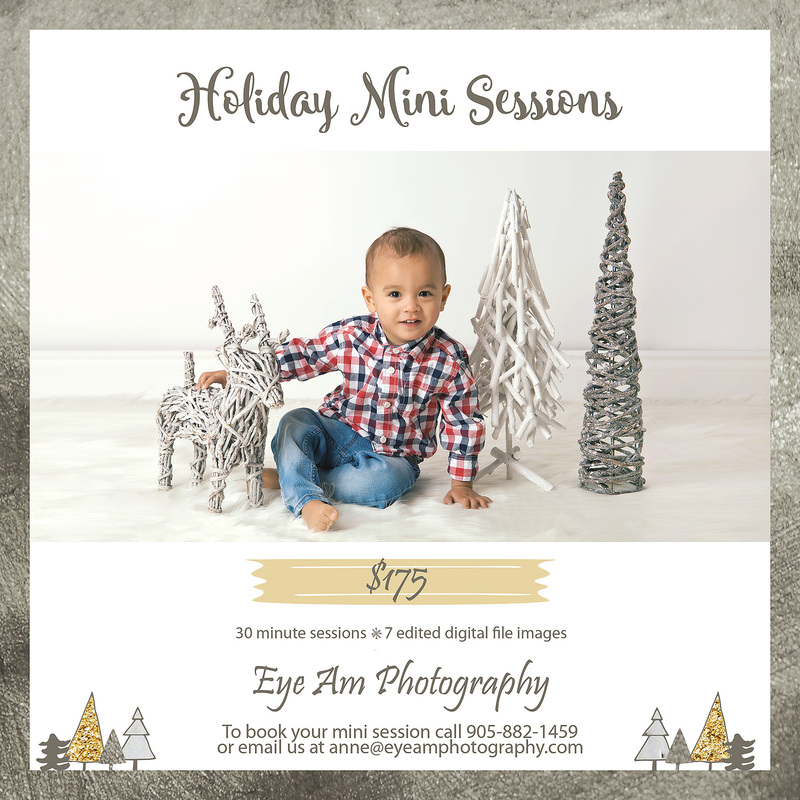 All holiday mini sessions will take place in the Richmond Hill studio. If you are interested in an outdoor session please let me know. 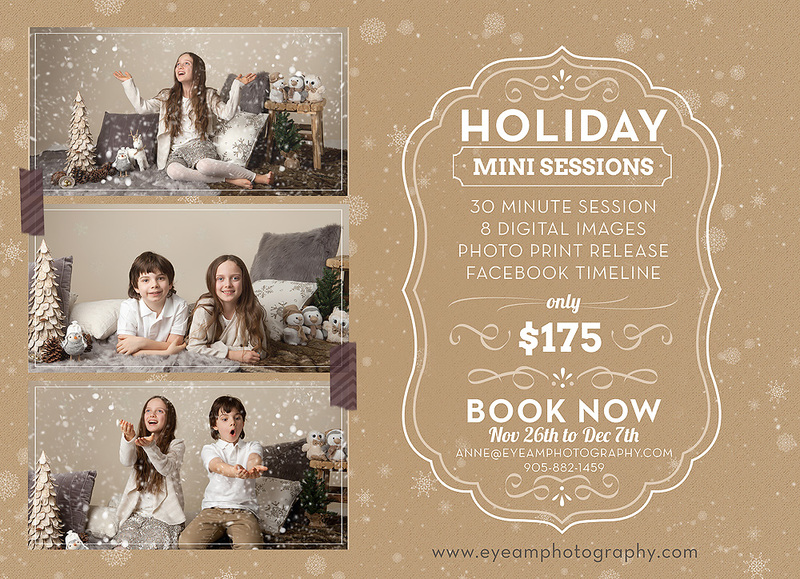 Now booking holiday mini sessions at the Richmond Hill studio. There is limited availability. 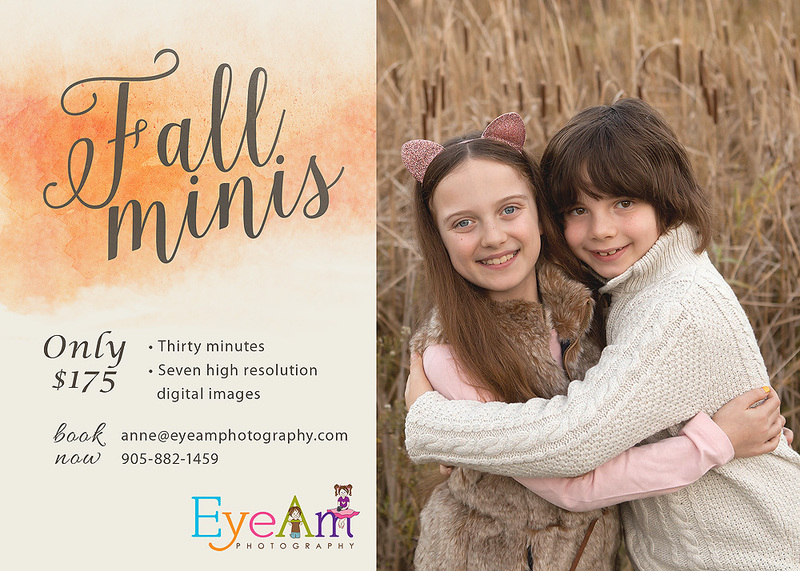 Call the studio at 905-882-1459 or email anne@eyeamphotography.com to book your session. Newborn sessions are about adding a new member to your family. Part of that is sibling and family pictures during your session. Eye Am Photography ensures that during your sessions we capture those precious sibling and family moments that you will treasure for a lifetime. 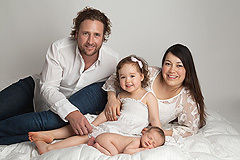 You can choose to have your newborn photographed in your home or in the Richmond Hill studio. The studio is located in my home in Richmond Hill just bordering on Aurora and King township. It is about half an hour from Toronto but if you don’t feel like travelling your newborn photography session can be done in your home. 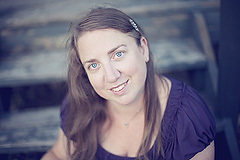 Eye Am Photography will travel for your family to most areas in Toronto and York Region. As well we will travel to most areas in Peel and Durham regions. To book your session or inquire about travel sessions please contact the studio at 905-882-1459.